Well Today I have for you a Avon Haul! Now Avon is a much beloved brand of mine especially when it comes to bubble bath and nail varnish. Avon is actually probably one of the first places I ever brought make-up, through my mum of course and over the years I have just come to love certain things. Now when I moved from Lyneham to Swindon we lost our Avon Lady but luckily for me my friends Josh and Kerry decided to start doing the Avon thing. They are doing it online so it's super easy to just order whatever it is that you want and then they send it to you. Also the price tag isn't half bad either. We all know that a lot of my make-up/beauty purchases can tend to be around £20+ an item mark but this haul has 11 items and only cost me a total of £35 which I think is AWESOME! Righty Ho, so first off we have the 3 bubble-baths all of which were £2.50 each. I think these are a firstly a absolute bargain because they are massive so they last ages and smell UH-mazing! 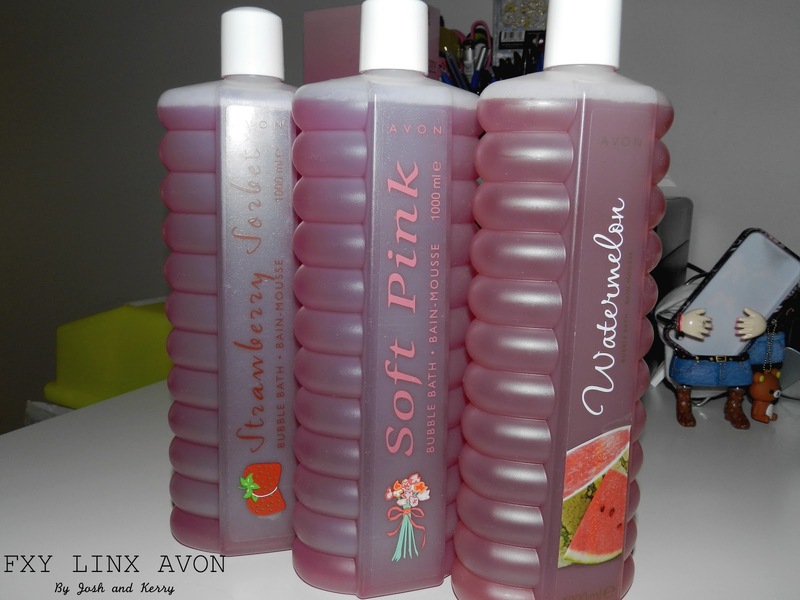 I have been using Avon Bubble-baths for years and when they went out of my life a good 2 years ago when we moved I missed them, I haven't found one that has been their equal. And we all know I love my bubble baths so I am so pleased they have re-entered my life. I find they are great for sensitive skin like mine because a lot of bubble-baths I have tried can be very drying on the skin but these really are great. Also have you ever brought a bubble bath and had the disappointment of no bubbles, well these my friends give loads bubbles and that just really pleases the little girl inside me :D.
Nail Varnishes;- Nailwaer pro+ Apple of his eye, Grape Goddess, Decadence, Forget Me Not Blue, Top coat plum illusion, Nail Experts Peeling+Brittleness Solver & Nail Experts Hydrate and grow £3.00 each. Next off we have all the nail varnishes I brought, I went a bit nail crazy. At the moment I'm really into my nails, I go in and out of phases very easily but at the moment I'm focusing on my nails. As a notorious biter of my nails for many years they are in awful shape. They just aren't very strong and when I do grow them they can just snap off/bend and layers can come off to. So in a attempt to be a bit more nail conscious I have purchased peeling and brittleness solver and a hydrate and grow dabber. So hopefully after some intense looking after my nails will be a bit better. I don't like to use fake nails just because they kind of feel weird and the one and only time I tried them, they made my ails worse. Then we have the actual nail varnishes. I think my favourite is Decadence it's an intense deep pink colour which I love. I tend to suit the deeper richer colours and tend to wear them a lot more that frilly colours so I think all of the above will last me through the year. Avon Nail varnishes have to be some of my favourite brand, I've been a loyal user since I was about 14 and I find that with the deeper colours they generally only need one coat and they don't tend to chip within the first few days in my experience, so certainly something that I would recommend. Here we have a very spur of the moment purchase which I'm actually really pleased I made. I've been wearing it for a good 6 hours and it is holding it's own. I tend to sway more towards reds/orange/plum colours. They tend to work for me with my dark hair and dark eyes. 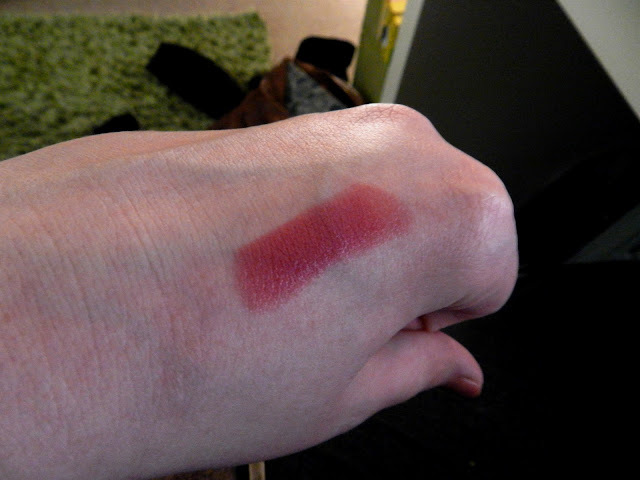 This lipstick is really great so far, it's really moisturising and seems to be fading evenly which is something I really love to find in a lipstick. Don't you hate it when it comes off in the middle and the edges look like some hideous lip liner. Well not with this lipstick :D.
I can't really say if it's 'Youth-Awakening' because I'm only 22 but I would assume the moisturising aspect of the lipstick would probably be great on older lips and the colour is a little darker than a natural lip colour and is really flattering! So guys there are my AVON purchases. If you guys are in the UK and are interested in buying anything it's really simple and easy to use and great value for money so please pop on over to their Facebook Page and/or there website and check out their stuff. 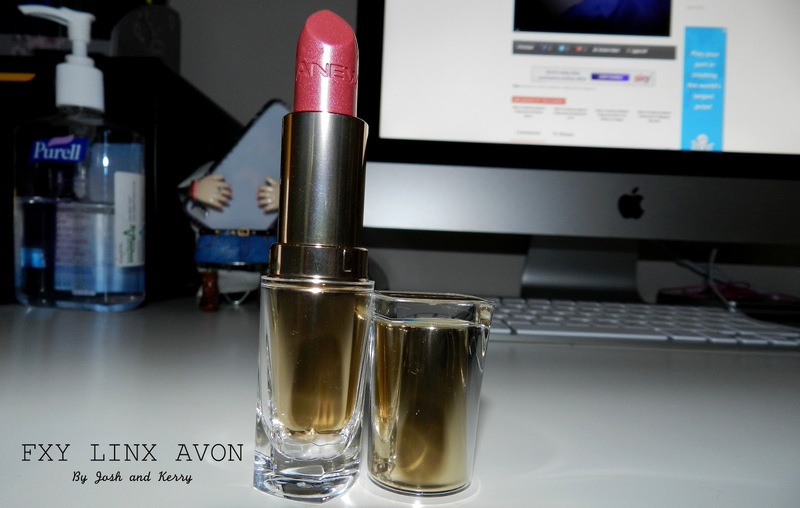 AVON is and has always been a brand that I highly recommend. Hi I have nominated you for the Liebster Award. Check out my latest blog post and it will tell you everything you need to do for it! !